Earlier today, the website for the popular open-world shooter franchise Just Cause announced a contest for creating what will end up as Just Cause 3′s trailer (assuming the creator’s permission). In this contest, participants are allowed to use any Just Cause 3 footage they can find online as well as the media featured in a media package provided on the contest page. The video must then be submitted publicly to Youtube and submitted through the contest’s official site. 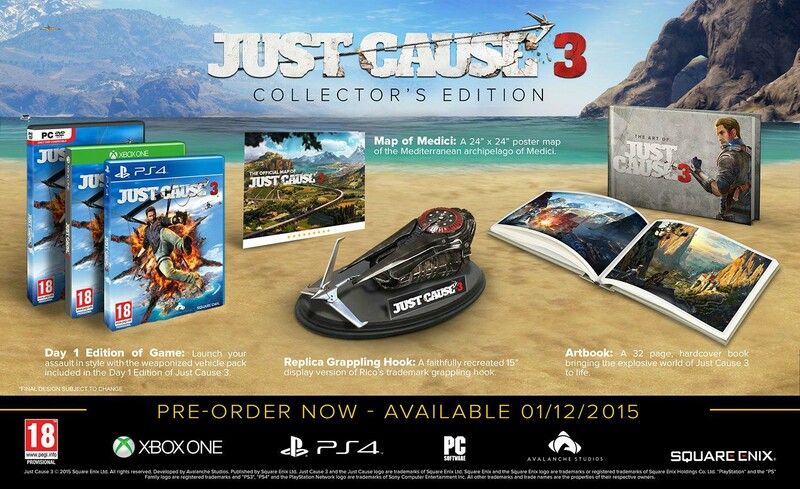 The opportunity to have the winning trailer submission to be used as the official Just Cause 3 trailer. Seems like a pretty neat deal, though there will be a bit of a barrier in that people with access to more specialized editing software will likely create stronger trailers; I don’t see Windows Movie Maker being the program of choice for whoever wins this, but fortunately enough; there is a free trial for SONAR on Steam for any sound editing needs (though you’re still on your own for video editing). But hey, this is your chance to make a professional game trailer! Go out there and make your mark! For further details as well as materials to get your entry started, visit the contest’s official site through this link.